We at Discovery Dental understand that dental insurance can be a tricky thing to navigate. Evaluating dental plans and considering deductibles, benefits, which treatments are covered, and the mountain of other information insurance companies provide can be a headache in and of itself. Dr. Marissa Miller wants every Shelby resident to have the power to control their own health, so here’s a simplified guide to the basics of dental health insurance. As always, if you have a question, don’t be afraid to give us a call! Having dental insurance means that an insurance provider will pay for a percentage of the dental care that you need every year. Plans vary in terms of how much they cost, how much they cover, and which dentists are included. If you would like to know if Dr. Miller is included in your provider network, please call Discovery Dental today. Insurance carriers cover dental procedures in three fundamental categories: preventative (examinations, routine cleanings, x-rays etc. ), basic/restorative (cavity fillings, tooth extractions, etc. ), and major (crowns, bridges, surgical extractions, dental implants, etc.). 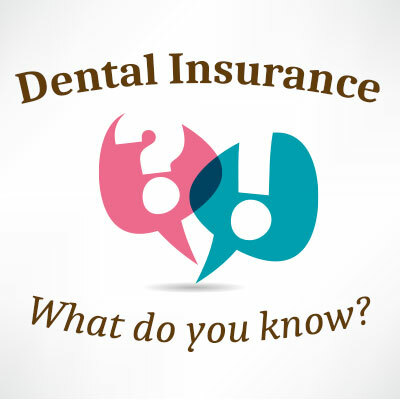 The classification of procedures varies according to each insurance company, but the majority of dental insurance plans have “100-80-50” coverage. This means that routine cleanings, checkups and diagnostic care are paid for in full, 80 percent of the cost of fillings, root canals, and other basic procedures are covered, and 50 percent of the cost of dental implants and other major procedures are covered. Cosmetic dental procedures, such as whitening treatments are not usually covered. Copayments – Some plans require you to pay a flat rate per visit or a percentage of the cost of each visit. Deductibles – For each plan, there is an annual amount that you must pay before the insurance will cover expenses. After your deductible is met, your insurance plan will cover a percentage of the cost of your dental care. Maximums – Most plans include a maximum dollar amount that will be paid for your dental expenses. You are responsible for any amount exceeding your maximum. If you have specific questions about your dental insurance, you can contact your insurance provider or give Discovery Dental a call. We are always happy to answer any questions that help keep Shelby smiles beautiful and healthy!